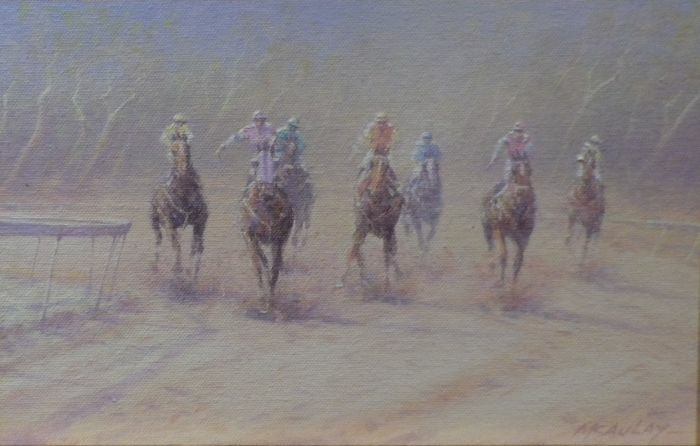 Please use the contact form at the bottom of the page to contact the gallery for prices of Tom's work. 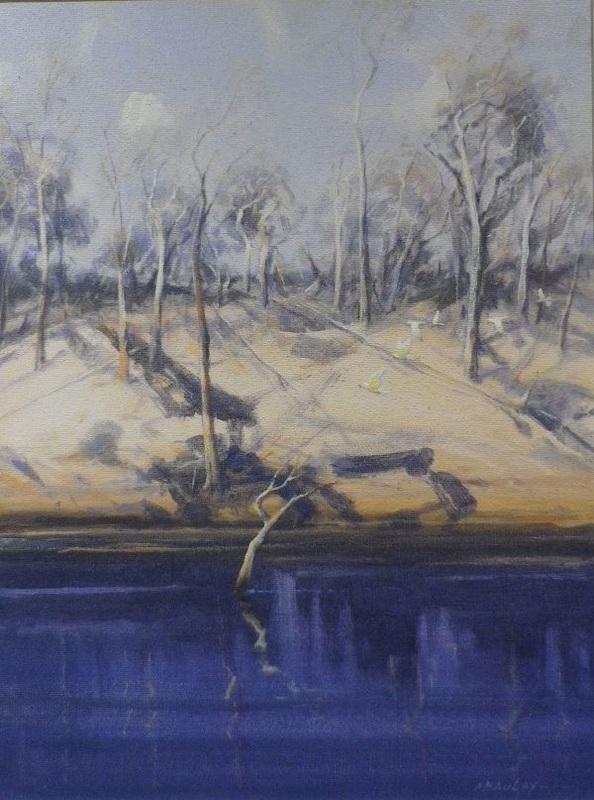 Please contact Jane or Tony at the gallery for prices of these works. 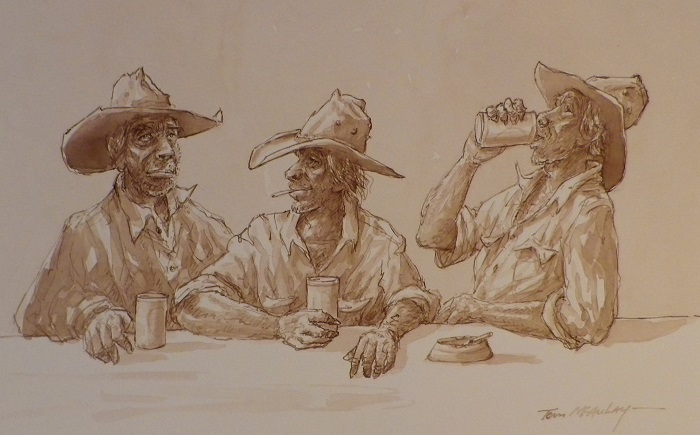 Tom McAulay was born in Innisfail in North Queensland. 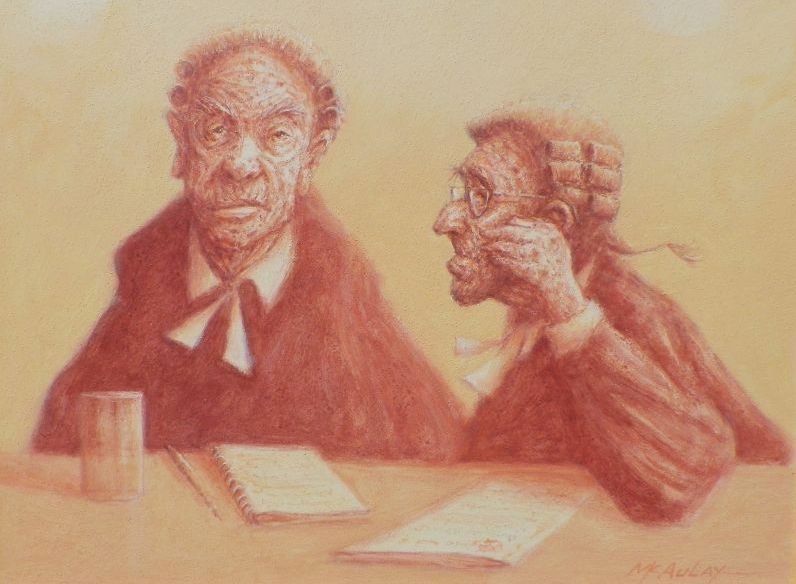 He studied art under both Arthur Evan Read and Andrew Sibley, but it was his own observations of life around him that have inspired most of his work. 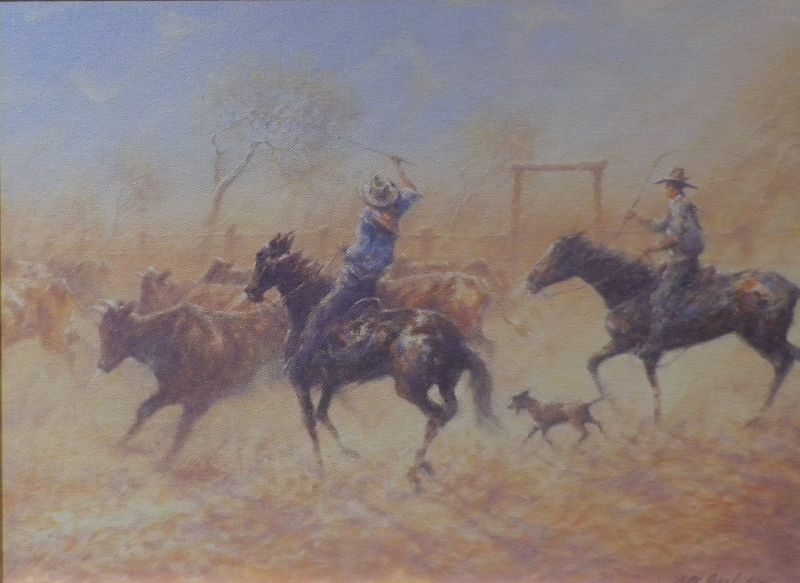 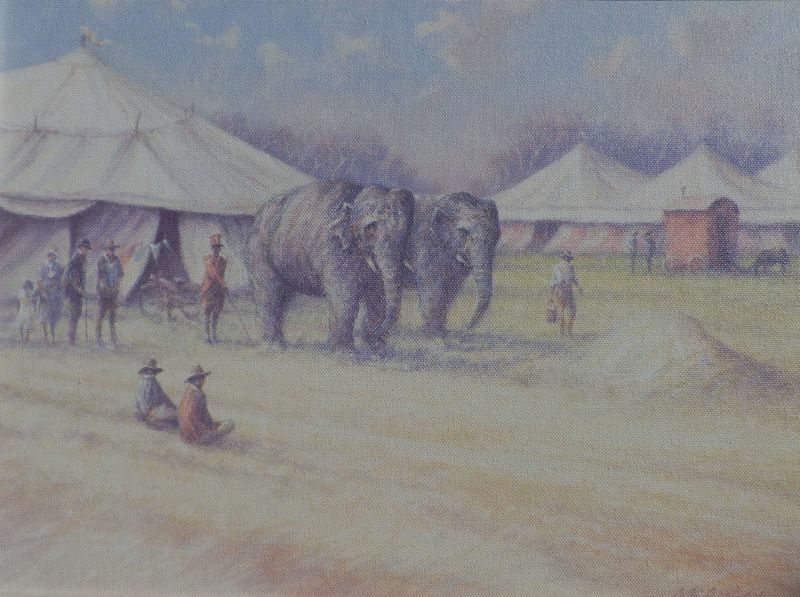 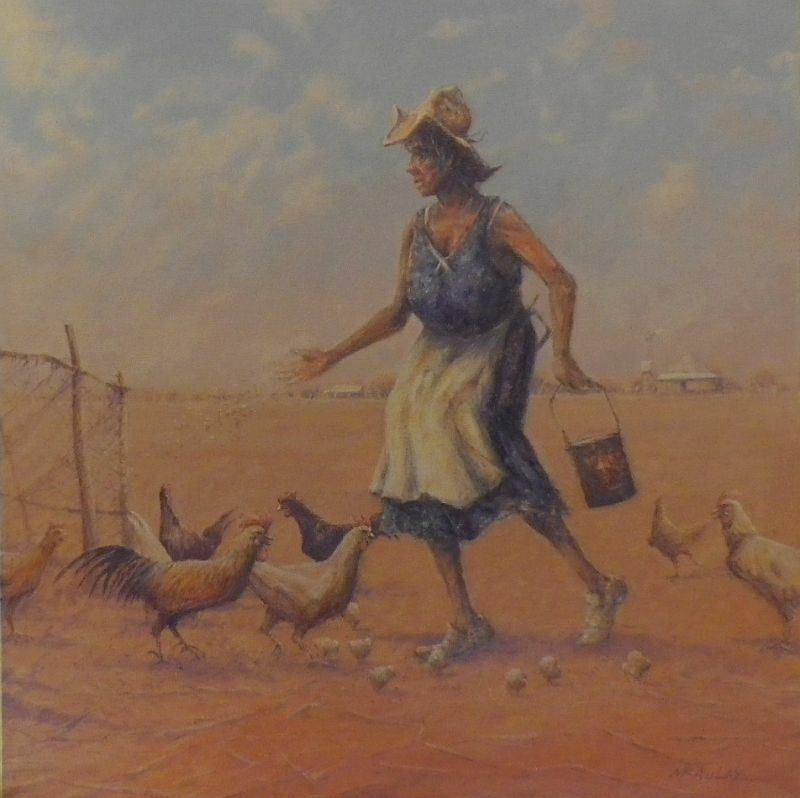 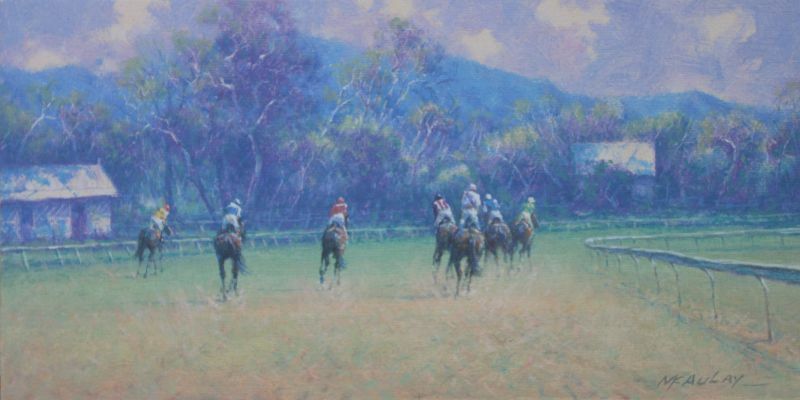 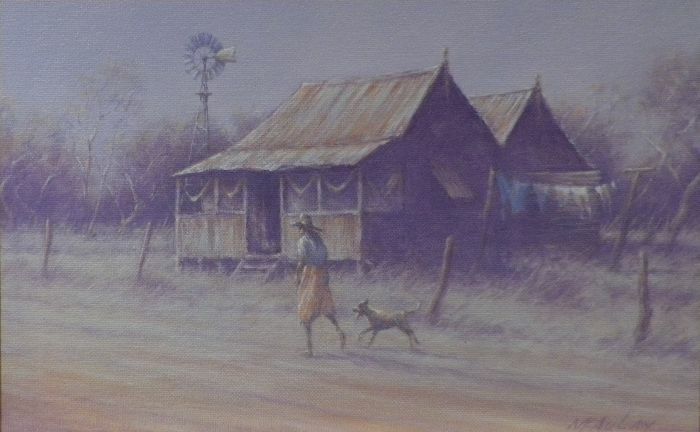 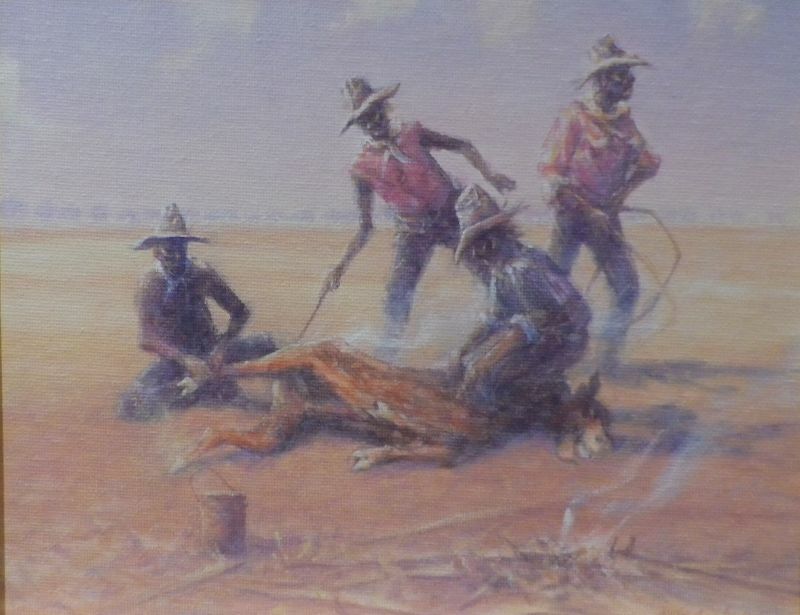 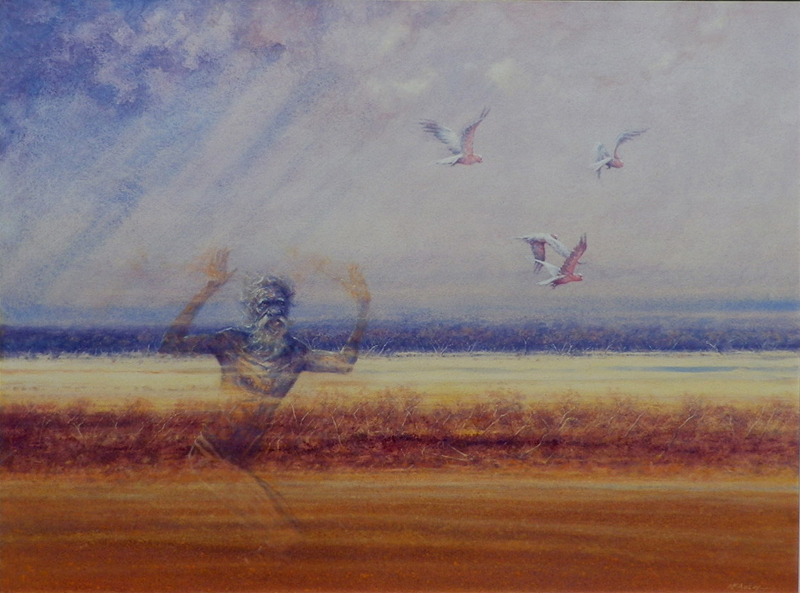 His early rural life and later travels around Australia laid the foundations for his portrayal of subjects such as the Outback, vast landscapes and birdlife, characters of the Bush and from the Far North, or country race tracks. 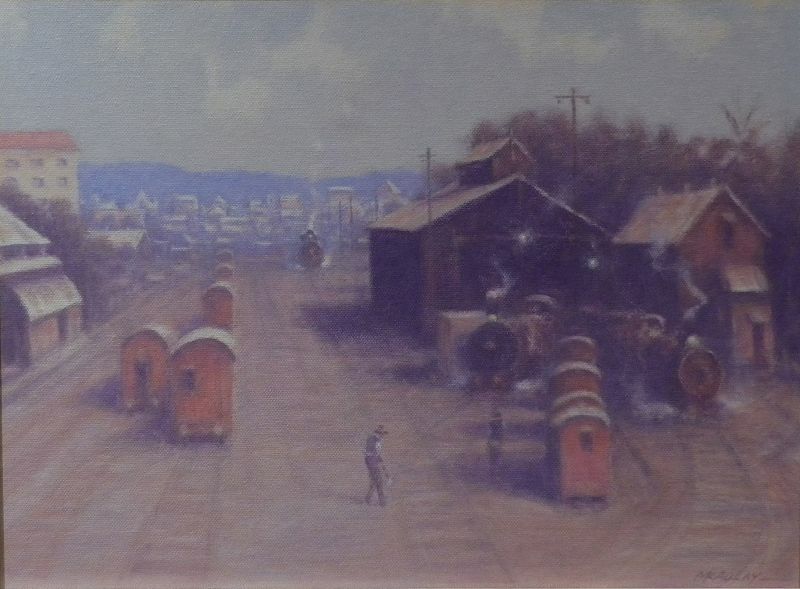 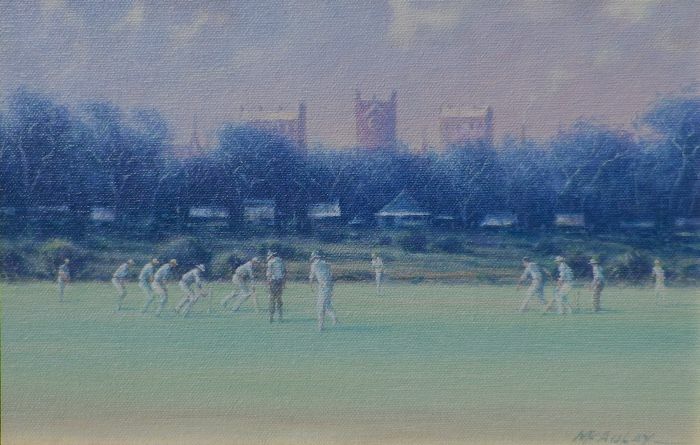 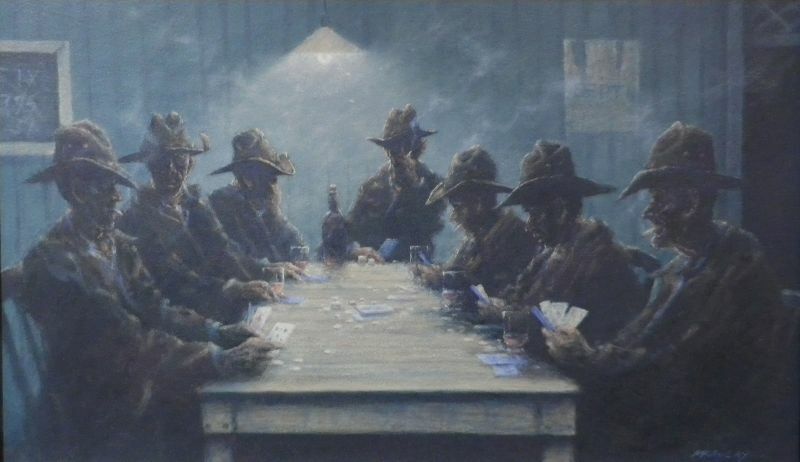 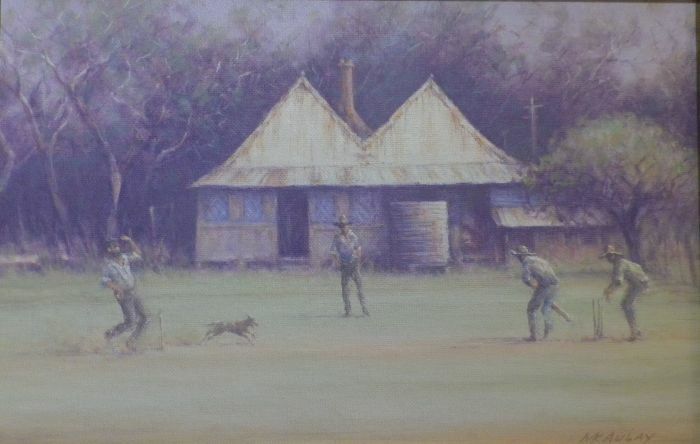 Years of Brisbane living brought new material form the suburbs and especially the sports of football, cricket and boxing which started to feature in many paintings. 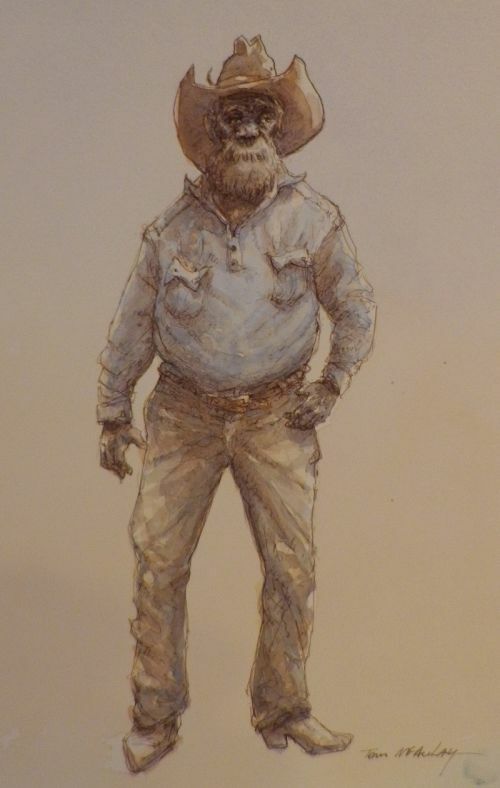 But it is still for his wonderful portrayals of stockyard characters that Tom is probably best known. 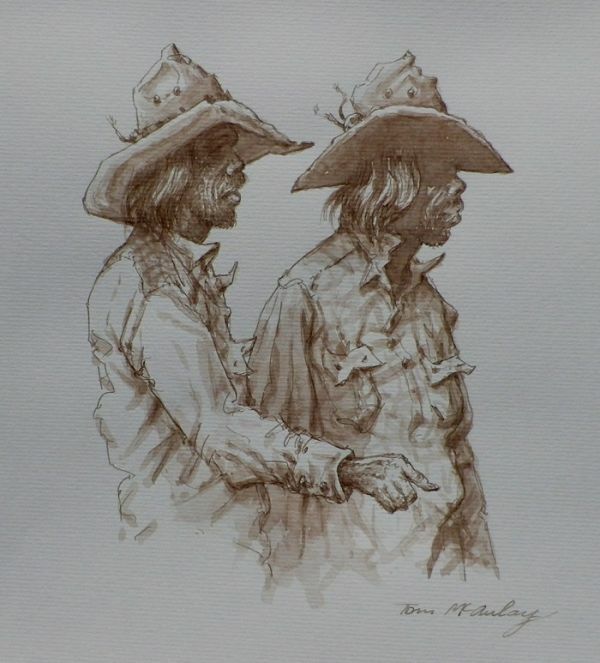 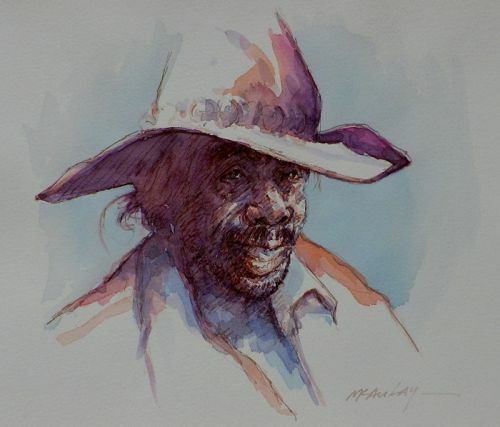 Most of the stockmen series are studies in pen and wash or charcoal, but Tom is equally adept at working with oils, acrylics and gouache and has always risen to the challenge of a new medium. 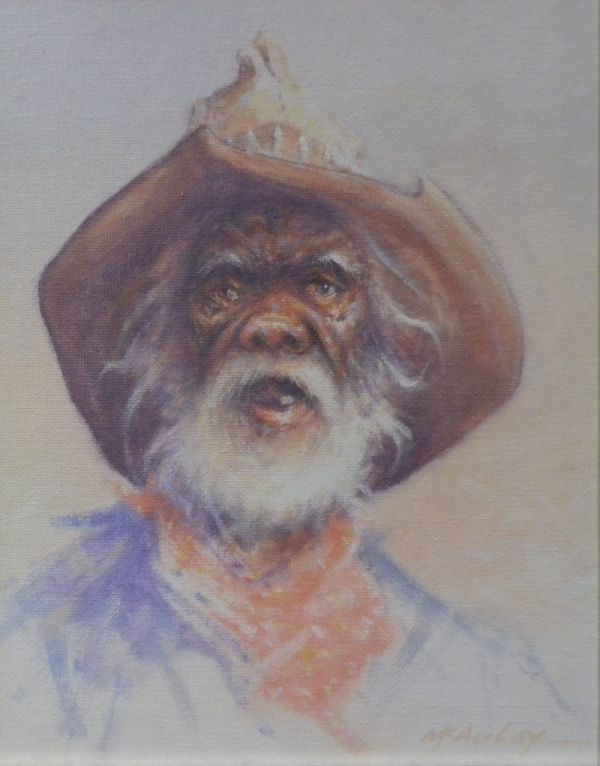 His journeying has taken him across many areas of Australia to meet all manner of people and he recalls Kakadu and the Kimberley region with much fondness. 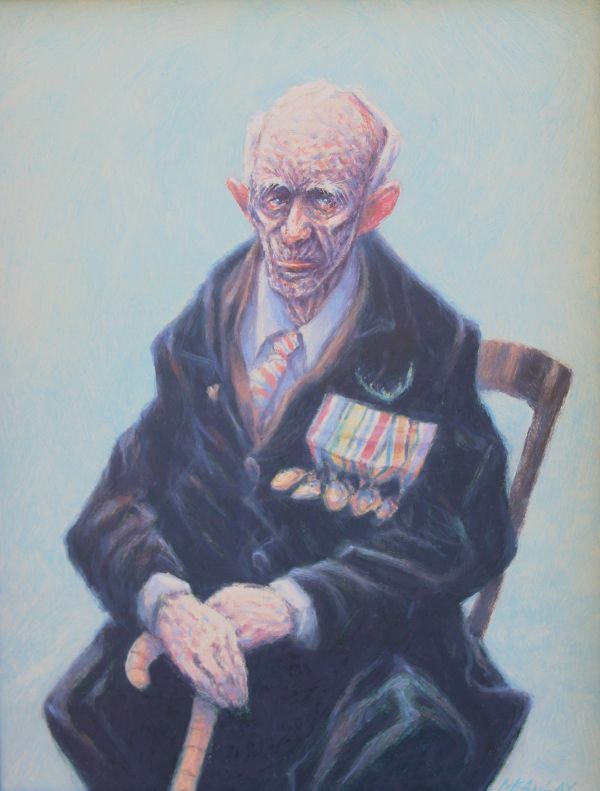 In a career that has spanned nearly 50 years, Tom McAulay has won innumerable awards including Warana Brisbane (1969), Caltex Award Toowoomba (1973) and the Heritage Art Award conducted by the Queensland Historical Society. 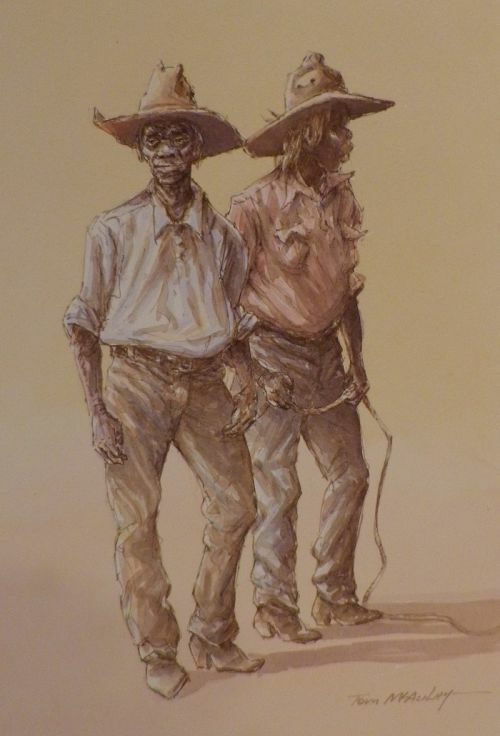 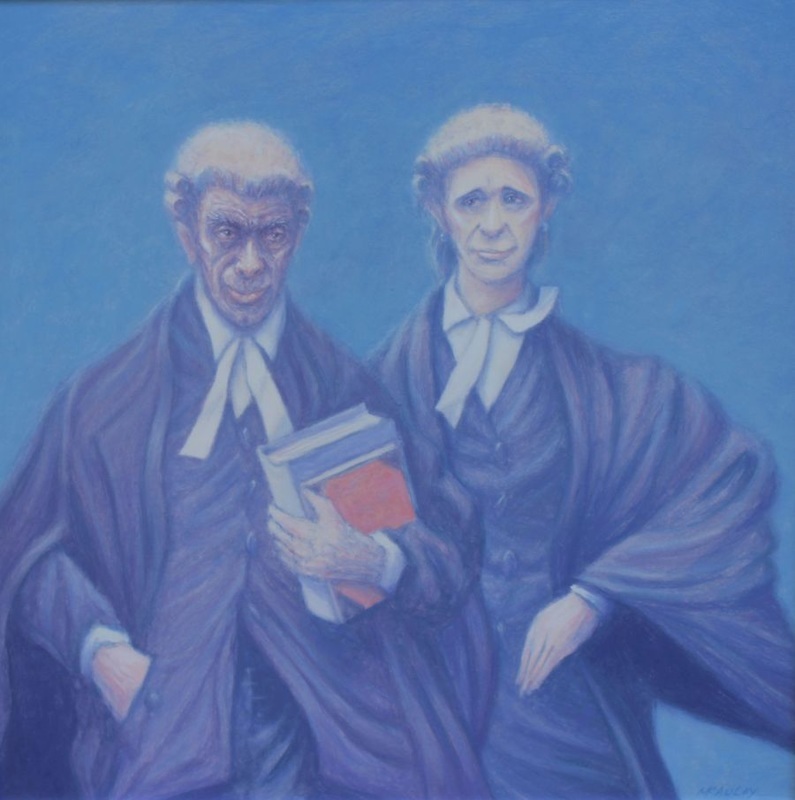 In 1990 Tom was commissioned by the then Prime Minister, Bob Hawke, to complete a series of paintings of Australians in sport and in 2000 he was the selected Queensland artist represented in the "Sports in Art" exhibition held in Adelaide. 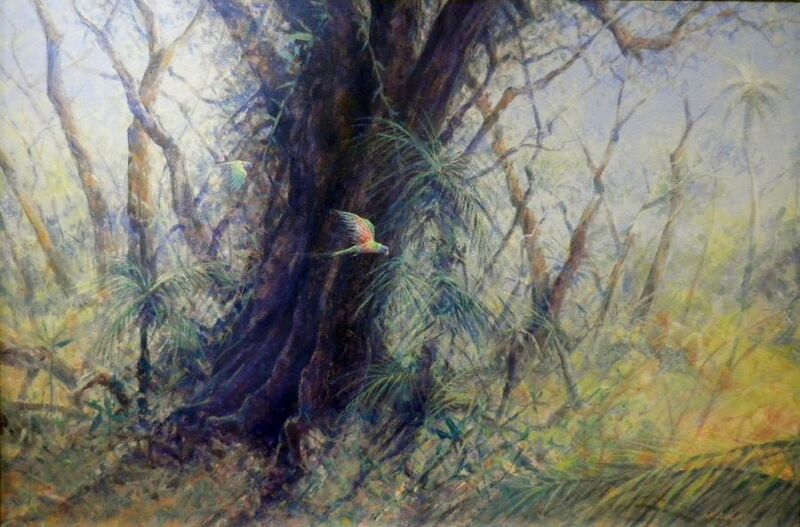 Tom, like most artists, paints as an expression of feeling about a subject, but he continues to work hard at his chosen profession. 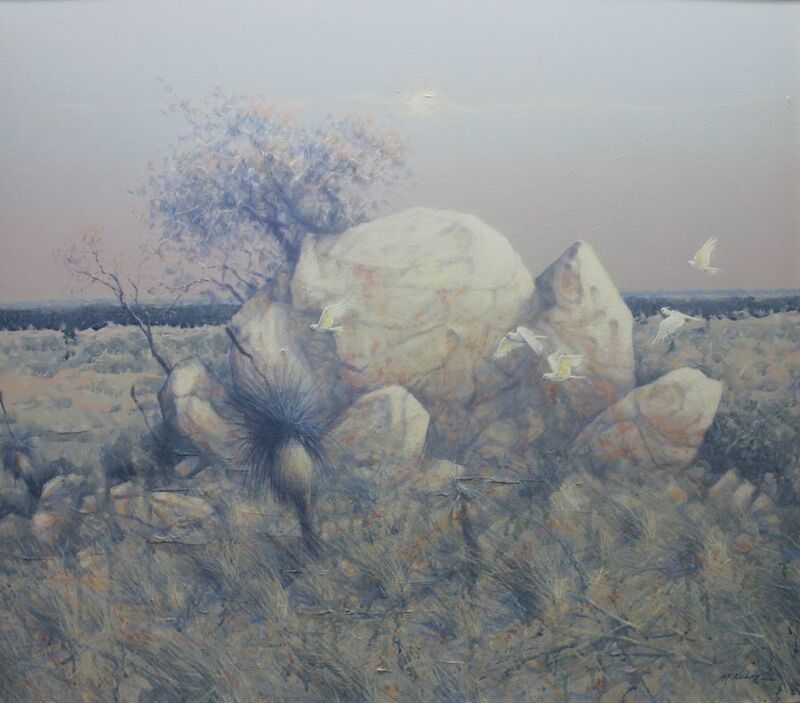 He does not seek the limelight, despite hugely successful exhibitions over the years in major galleries in Brisbane, Melbourne, Cairns, Toowoomba, Sydney and Darwin. 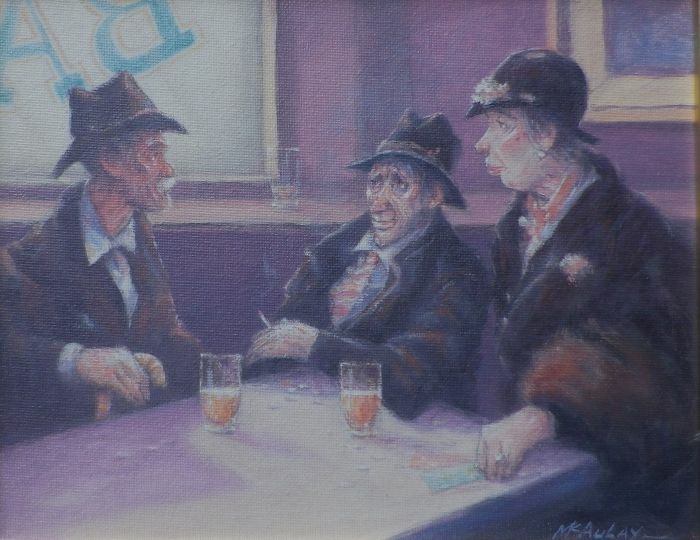 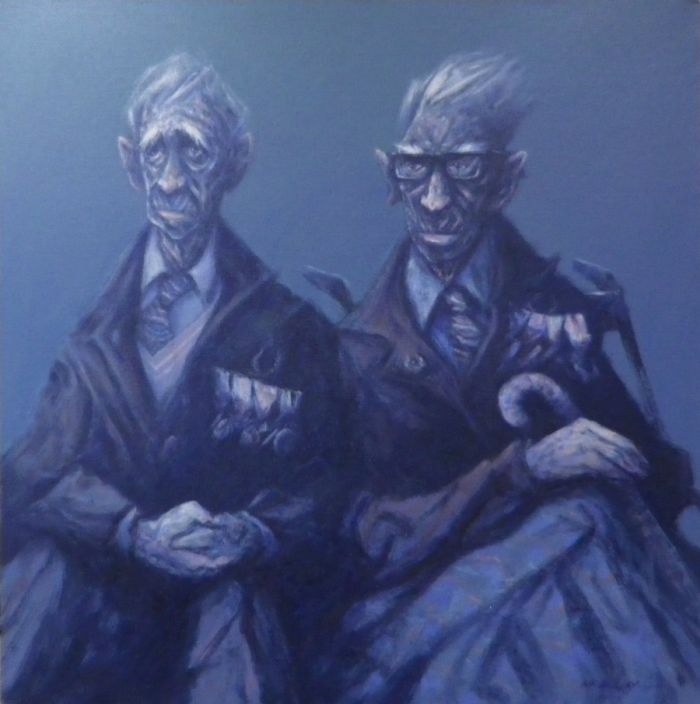 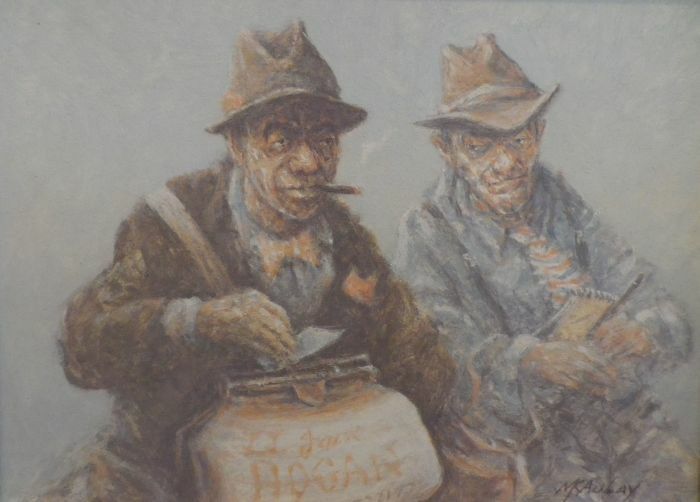 Paintings by Tom McAulay for the "Mutual Respect" exhibition now appear on this page.